Byrds collector Whin Oppice kindly sent us info about and pictures of his latest finds, which will come as big surprises even to hard-core Byrds collectors. Many thanks to him for making the existence of these gems known to all Byrds fans. Whin has no intention of making these items available unless it's by means of official releases. So don't ask; thank you. "The paper record came out of Discoscene Magazine Vol. 1 No. 4. Discoscene Magazine was distributed in the East Coast and published by Goodway Publishing, February 1966 –	September 1967. Hy Lit, Philadelphia disc jockey, plays new record releases and briefly interviews Chris Hillman backstage at Camden County Music Circus, June 12, 1966. Chris talks about 5D and missing member Gene Clark. 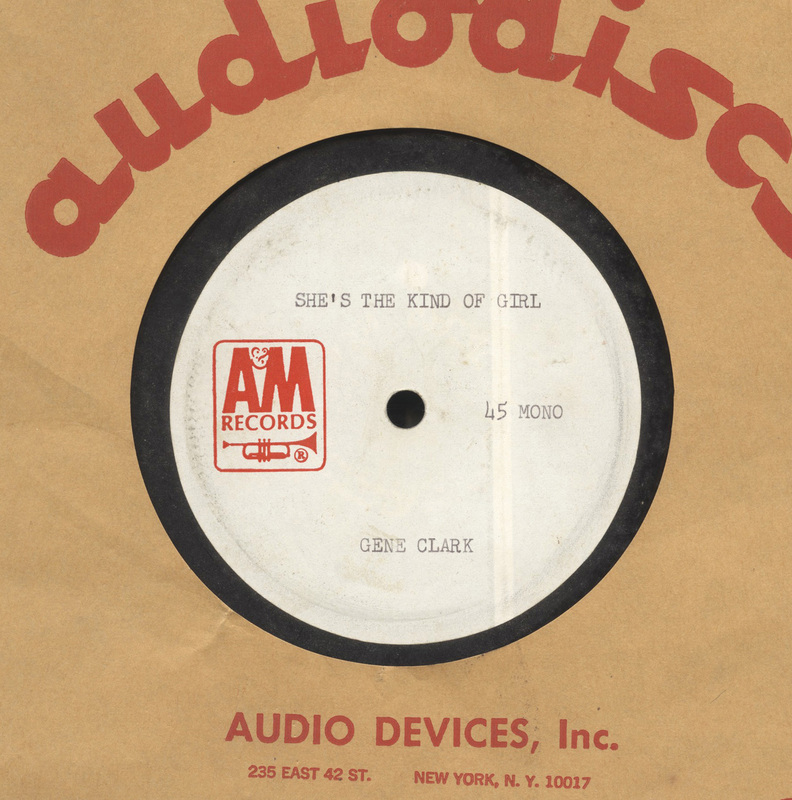 Chris' comments on the release of 5D offer nothing profound but what follows is the only recorded explanation (I believe) by a Byrd regarding Gene Clark's departure from the band." Hy Lit: "One of the Byrds is missing. Why?" 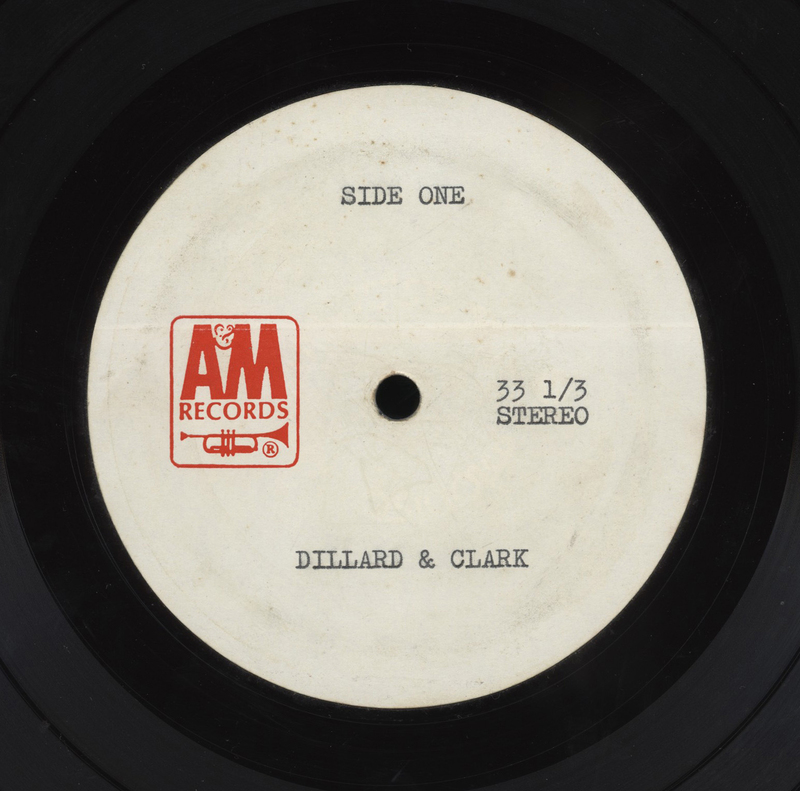 Chris Hillman: "Gene Clark...he quit about two months ago. He's starting his own group and wants to get into songwriting for other groups and things, you know." 9. Vinyl LP "Sounds Of Palos Verdes 1966 - Volume 3"
This LP was produced by the Palos Verdes High School in 1966 highlighting school events for the '65 -'66 school year. 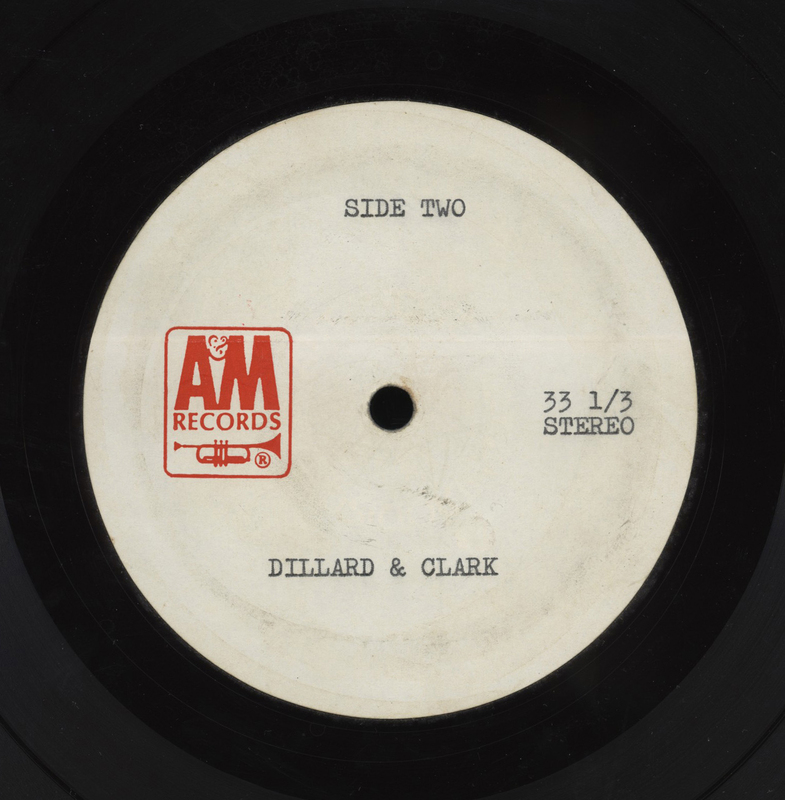 "Side 2 has about two minutes of The Byrds in concert performing Turn Turn Turn at the High School on October 22, 1965 after the Friday football game. I wrote Z.S. of the audio crew and he said even though they taped the concert, he doesn't know of the tape's existence anymore. club shows, high school and college concerts." Whin generously offered Byrds Flyght and its visitors the possibility to listen to this ultra-rare, near-impossible to find track. Jim McGuinn, Gene Clark, David Crosby, Michael Clarke and Chris Hillman in front of an audience. These are the completed songs before embellishments appearing on their inclusion in Gene Clark’s 1973 Roadmaster album. Whin Oppice has acquired the original acetate from the previous owner in Los Angeles. 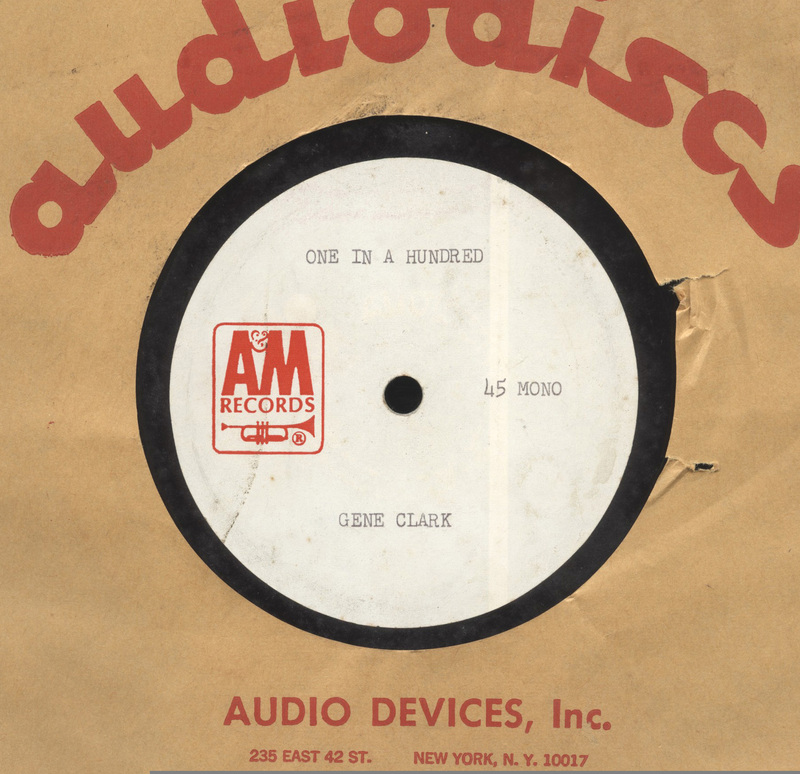 As much as collectors revere the "Gene Clark Sings For You" acetate, they've not seen a photo of it. It has been transferred to digital CD and analog tape by Penguin Recording in Los Angeles. Hereunder are pictures of both sides of the album. Using "Right Click" and "Save As" will show you much BIGGER pictures. Whin Oppice has sent us info about and a picture of a new tape he just acquired. More exactly, a 1972 A&M tape of the eight rejected completed tracks from Gene Clark's Roadmaster sessions. The tape was acquired by Whin from someone who received it directly from A&M USA in october 1972. These were the songs A&M USA originally did not want to release. After contact was made by the previous owner with A&M Netherlands, a Dutch release was made in 1973. "I am not 100% sure the tape was used for the final master. I know I gave the tape to A&M Netherlands. They took it from there and negotiated with LA, which resulted in the Dutch release. After a while, they returned the tape to me, as I requested. What happened in between I'm not sure." As one can see, the songs on the tape do not fully coincide with the album contents. The 1/4 " tape, stereo, 7 1/2 IPS on 7 " reel is in excellent condition. Whin immediately had it transferred to digital CD and analog tape by Penguin Recording in Los Angeles. Hereunder is a picture of the box. Using "Right Click" and "Save As" will show you a much BIGGER picture. In the summer of 2007, Whin acquired outtakes of a Byrds movie that was never released. The performance footage is from Hullabaloo Club, Hollywood, CA, February 13, 1966. Gene Clark is still with the band. Much of the footage is all five Byrds playing instruments, singing and being themselves for the cameramen in a rehearsal and dressing room. There are 156 clips composing about 720 feet of black & white 16 mm movie film, pro shot, about 18 minutes duration, no sound. A lot of time and money was spent editing and preparing for archival digital transfer. The film had sat untouched for 41 years in three metal canisters, and is in excellent condition. It came from the estate sale of John Dietrich, Los Angeles based photographer (see Gene Clark No Other and White Light L.P. credits). Jim Dickson said he had nothing to do with the film project. Hereunder are some pictures taken from the movie. 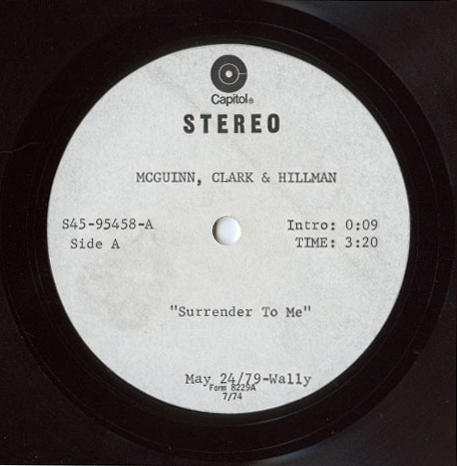 In November 2009, Whin acquired two 10" Asylum Byrds master multi-track tape reels, from Wally Heider Recording, Hollywood CA, various November, 1972 dates. Three versions of "Fair and Tender Ladies", which does not appear on the Byrds Asylum album release, are included in the 16 track master tape. To Whin's ears, the earlier version (#4) has David Crosby on vocal. 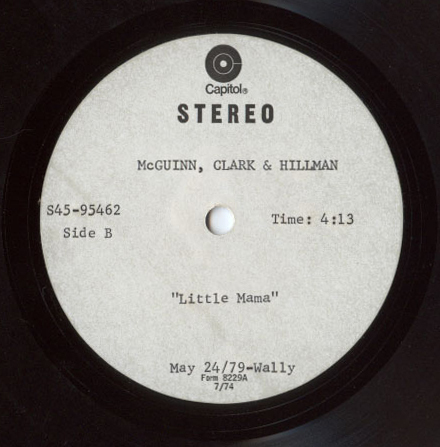 The vocal on the other two versions is Gene Clark. Gene wails on harmonica as well. Studio tracking sheets are included which provide valuable details. As with the film "Byrds, W.P. Outs," all has been carefully preserved and digitally transferred. Writes Whin: "Listening to isolated tracks left me spellbound, as if the instrument or vocal was being performed live right in front of me. You can hear every breath on the vocal tracks". Hereunder are some pictures from the tapes. Thanks again to Whin Oppice for providing us with this invaluable info.